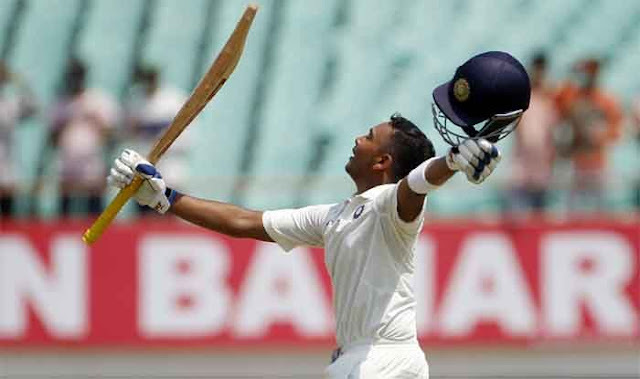 India coach Ravi Shastri saw in Prithvi Shaw's batting, glimpses of two of the greatest batsmen of modern era and a non-conformist who redefined batsmanship. An overwhelmed Shastri on Sunday (October 14), in one breath, mentioned the names of three legends Sachin Tendulkar, Brian Lara and Virender Sehwag while trying to describe the 18year old Shaw who accumulated big runs in his first brush with top-flight international cricket. "He is born to play cricket. He's been playing since the age of eight in the maidans of Mumbai. You can see all that hard work showing. He's a spectator's delight. There's a bit of Sachin there, a bit of Viru in him and when he walks - there's a bit of Lara as well," Shastri said. "If he can keep his head on his shoulders and keep the work ethic, he has a bright future." Shastri was speaking after India completed a 2-0 series sweep over the West Indies with a 10 wicket victory here. Opener Shaw flayed the Caribbean attack during his 52-ball-70 on the second day of the second Test to give India a flying start, days after hitting a century on debut Even skipper Kohli gushed about the 18-year-old. "The guy grabbed his chance beautifully. He looks like someone who can get you off to a kind of start you require. Making a mark in the first series that you play, from that point of view, it is great to have a guy who is so fearless. And he is not reckless, he is very confident about his game," he said.